A FREE quick and easy way to search for 100% of the homes for sale in Fresno & Clovis on the Fresno MLS regardless of what company they are listed with. 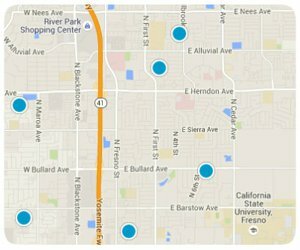 Up to date reliable and accurate information sourced real time from the Fresno multiple listing service. See all the property detailed information including pictures, virtual tours and videos. 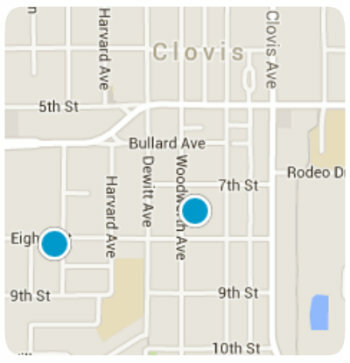 Receive daily email alerts of new listed homes for Sale in Clovis & Fresno based on your search criteria. All located in one easy to find location. You may be asking how we can do this for free. The answer is simple; we want to provide a reliable informative service to anyone in the market to buy or sell a home in Fresno metro area. We hope that when you need help or if you have any questions you will give us a call. Its easy to get started with your search, our website is designed to be a complete resource for anyone looking to buy or sell a home in Fresno California. Weather your looking for a home in Clovis, Fresno, Sanger or surrounding communities you can select your personalized preferences to start your search or you can select one of our preset searches like Harlan Ranch, Deauville Estates, Quail Lake and Copper River. There you will find homes for sale information on neighborhoods and schools, New Construction and individual communities. Remember we use the #1 source for information, the Fresno MLS. We don't rely on third party sources for out dated information like Zillow and Trulia. The local Fresno and Clovis Real Estate market is constantly changing with the economic climate, it is important for you to know who is representing you in one of the largest financial transaction you will be making in your life time. Our 20+ years of experience provides you with a professional reliable point of contact when you need representation. We are committed to our clients and take pride in the service provided. We want you to feel confident, informed and secure with your transaction.